Counting Down to GW2 #GuildWars2 – Nomadic Gamers, eh! Gaming these days is still pretty limited, with the Olympics going on and family taking over (Nana is still in intensive care) but I’ve been relaxing at night with a little World of Warcraft while I (impatiently) wait for Guild Wars 2 to release. Not too much longer to go now, I still haven’t decided what I’m going to play. World of Warcraft has been quiet as well, with MoP releasing in September there’s not really a rush to do anything because I know it is just going to get replaced. I have been working on a few old achievements, mostly from the Wrath expansion. Pictured above is my group trying to take down 100 zombies in one minute. Fun times. I also only need 4 more recipes to reach my goal of 200, which is every obtainable recipe in the game (for now). Two more days will allow me to purchase the final level 85 recipe I’m missing, and I just need to figure out how to spawn the two robots in Desolace to gain two more. I tried last week but didn’t have any luck. I’ve been completing the LFRaid finder once a week simply for the valor points, there’s very few upgrades from the raids any more for my priest – and yesterday I was lucky enough to win an axe for my shaman. I was a bit sad to see that the second axe went to a caster shaman instead of melee, but I’m hopeful because the loot system also changes in MoP and it should prevent these sort of things from happening in the future. What is everyone else who plans on playing GW2 keeping busy with? I know a good portion of my friends are playing The Secret World right now, and I would have given it a try on their free weekend, except I’m already very close to my internet cap for the month and I can’t download anything more until it re-sets on the 12th, or I’ll face fees for going over. I normally don’t come close to the cap, but this month I’ve reformatted so there was all sorts of goodies I needed to get again. I’ve managed (so far) to stay away from TSW despite hearing nothing but good about it, for the simple fact that I know myself and I know my game style, and I don’t think it would appeal to me. That doesn’t mean I won’t try it in the future, but for now with GW2 so close, I think I would be better off waiting. I hope everyone has an awesome week, and as always, happy gaming, no matter where you find yourself! I thought about getting GW2, I liked GW1 well enough. 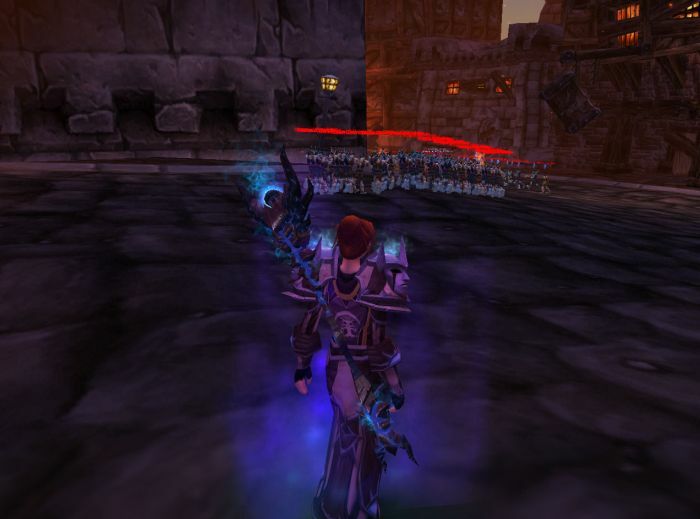 And I thought about Warcraft’s MoP expansion too, it looks interesting. But then last weekend I played TSW during the free weekend and I liked it, so I ended up doing something rather unexpected. Thank you for a neat post. And, as it is my first time here, I have to say that it is a pleasure to browse your blog. Keep it up! I am in real anticipation of Guild Wars 2 after a long period of World of Warcraft and RIFT. Right now, among other things, I am discovering everything connected with blogging, this is something which I never had enough passion to do before. @Jonathan, I now understand why many zones of EQ2 are more populated than before. :) I started to play EQ2 a month ago, when I got bored with RIFT. And now I am amazed what great playing experience I missed. Fortunately enough, it appears not to late to come to EQ2 which is still alive and well. With all the features added in recent years, this game is really competitive. Well, the wife and I spent most of this year going all the way through GW1 — did all of the campaigns, Guild Wars beyond, finished up our hall of monuments, got all of that done about a month ago. We’ve left one thing untouched — we plan on taking our characters through the Tomb of the Forgotten Kings and marching to the Hall of Heroes in the mists, and logging them out there. But since finishing up GW, we’ve been doing something we never really did — EQ2. Just got going on that. Having a ton of fun with things like the housing system. Your heritage quest guides have been a huge help! Fun game — we’ll probably split time between it and GW2 for the next solid stretch of time. For myself, I’m mostly playing Tribes: Ascend, with a dash of Dungeon Defenders. No MMOs at all until GW2 hits. I’m playing Rift when I get time. My TSW time just lapsed. I’m waiting until after Gw2 to sub to it. Man I wish it didn’t have sub fee so I could pop in and not feel obligated.